Where have you gone my little one? – My thoughts on a page. Where have you gone my little one? Some of you may remember me writing how I gave my children a special gift when they were born. Not your ordinary shop bought gift but a special one from the heart, a gift I assure you they have never appreciated, but I still love. Not being one bit talented in the song or music writing department, I couldn’t write them one myself, so instead I dedicated a song to each one of them. I have already shared with you the song I chose for my eldest daughter , before she was even born, here, and also the one I chose for my son as we sat together one morning, before the world woke up, here. Now I will share with you the one I chose for my third young lady. This little lady was almost a year old before I found a song for her. At the time as a favour I was minding my own children and four more, in total eight under seven. Life was busy, and hard, lonely and great fun. There were days I thought would never end, and other days which were wonderful and rewarding. On one such a good day I was sitting with my youngest daughter on my lap, surrounded by the other little ones. They were all in great form and for a moment I caught sight of my life as it was then, a young mother surrounded by happy children. I felt a pang of regret that time would not stand still. As they dispersed to play a game I stood for a time looking into the playroom at the gang of them. In particular I saw my then youngest, chatting and playing, no longer a baby. The words of this song came to mind, and forever after it has been my special song for my daughter. On many occasions since I have sung it to myself quietly, usually alone, and often through tears., celebrating the joy it has been to be a mother, and the pain that time passes all too soon. Enjoy your little ones and this song. Dublin city girl meets ‘the country’. Is this what writers block feels like? I love that song! I could only think of my own babes, all grown up with babes of their own. I think I want a “do-over” so I can enjoy that life more and cherish it instead of taking it for granted. Don’t we all Deb? That line ‘with babes of her own’ always gets to me too. 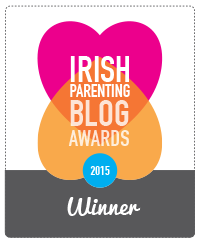 Pingback: Irish Parenting Bloggers | Where have you gone my little one? Oh Tric I love this song. I remember your posts. Like you I gave my children songs. Mine were “You Are So Beautiful” and “You Are My Sunshine” and then every night I sang “Amazing Grace” to them after prayers. 🙂 You touch my heart Tric. I’ve always loved that song. Perfect for a sweet little girl. When my grandchildren were born, i made up non sense lyrics to sing them to sleep. Soon, each got so attached to their sing that i was the only one that could get them to relax enough to go to sleep. Spencer’s song (he’s two on the third, probably by the time you read this): Spencer roo, my kangaroo, what are you doing my little Spencer roo? Spencer, Spencer, Spencer roo, you’re my little kangaroo. Spencer roo, I love you. I love you oh yes I do. –then it repeats as needed. Lovely. Sometimes its not until we get older that we understand how precious those gifts are. How sweet for your children. Oh my heart! Gorgeous song, I’d never heard it before. I may borrow it for future weepy moments 🙂 I had a moment like this recently. It’s a strange sadness to realise that they will never be small again. I’m dreading the first day of school.